Loving both Tuscany-style’s warmness and Santorini’s glamorous ambience? Well, they can be both incorporated into your wedding beautifully! It only needs imagination and experimentation. The Tuscan-like decoration makes a perfect match with the unparalleled Santorini ambience, since both styles are characterized by natural landscape elements. Santorini’s volcanic scenery, white-painted houses, red-colored cliffs, the breathtaking view of the Caldera and the world-famous golden sunset falling over the idyllic Santorini terraces go perfectly with natural color palettes. 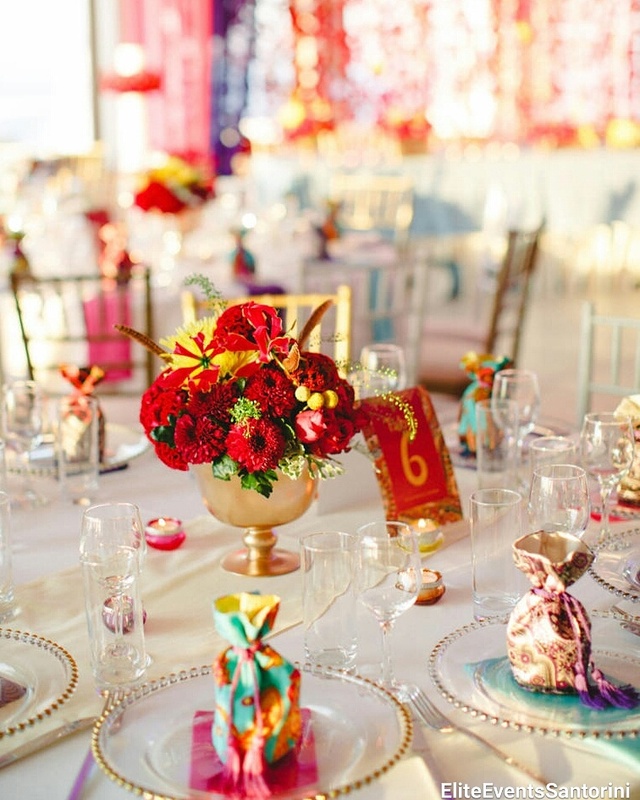 Thus, infusing Tuscan color palettes of terracotta, green, ochre, bronze and gold into the Santorini wedding will just bring over the Tuscan-inspired theme and flair. The convenience and comfort of the Tuscany style can also be integrated into your wedding evoking the Italian charm, through natural and rustic materials like roughly-sawn wood and furniture, as well as wrought iron accessories. Fine porcelain and tableware embellished with colorful details in blue, green and gold will dress up your wedding with character in a Tuscany-like atmosphere. Greenery arches and arrangements will further enhance the look, reminiscing of lush Italian vineyards. Embracing both styles – the graceful Tuscan style and the unmatched allure of the cosmopolitan Santorini island – promise to create a unique and stylish wedding décor. Greenery: A SUPER HOT wedding decoration trend! Greenery is a hot trend in wedding decorations, giving a fresh, natural; yet sophisticated and chick twist to wedding décor. It will instantly give an outdoor “country” feeling (making you and your guests feel like being at a chic vineyard! ), even if you ‘re getting married indoors. This is another reason why this is a great all-season decoration idea! Tip: You can incorporate greenery into your décor, but adding beautiful garlands with leaves, stems and vines; church greenery arches; statement installations with tealights hanging from the ceiling (or from a clear wire); dramatic backdrops and glorious table centerpieces! Suspended greenery and installations, adding texture and vibrancy, will elevate your reception’s décor literally! 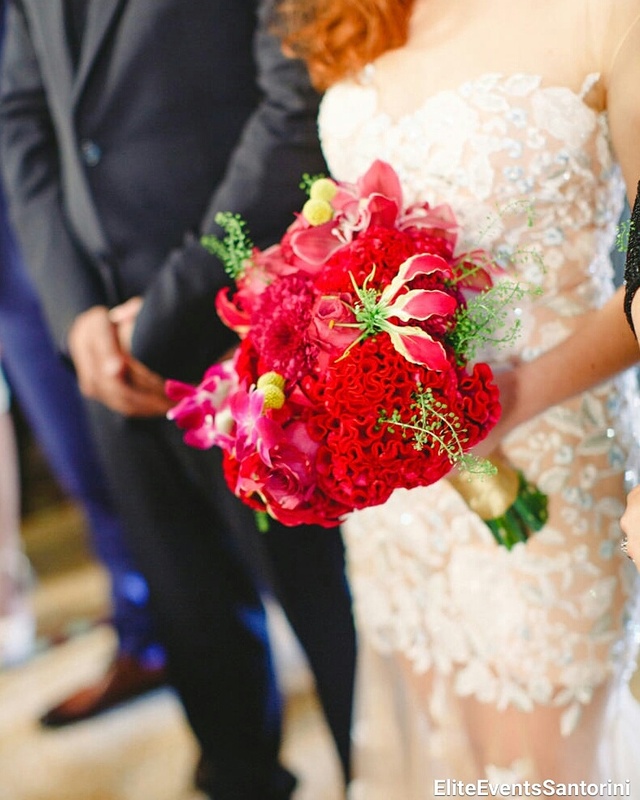 You can also use flowers and buds to complement it, creating a modern and classic blend, within a large scale of color palette- from pure, crispy and elegant white to more bold color choices like red, yellow or gold. You can easily achieve this fresh “earthy” look to transform your wedding venue and have the most romantic scenery on your most special day!! Check out our photos, taken from some of our previous planned weddings, to get inspiration and … literally fresh ideas; incorporate this beautiful trend into your own wedding and have the most outstanding wedding day! Ultra Violet: “The color of 2018”! Ultra Violet (or Pantone), has been officially announced “The Color of 2018”! 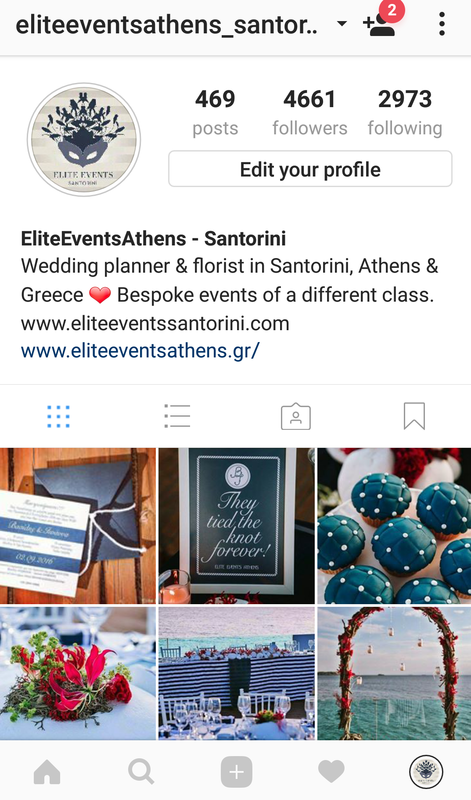 And not just by our team at Elite Events Athens, but by the color experts of Pantone, the famed Color Institute; being featured by Vogue, Harper’s Bazaar and many other top worldwide publishers! Ultra Violet, this extraordinary “blue-based” color, is associated with wealth, royalty and spirituality. It is darker than lavender, lighter than plum yet brighter than aubergine (eggplant). This dramatic and provocative shade of purple can be ideal for spring and summer weddings as well! 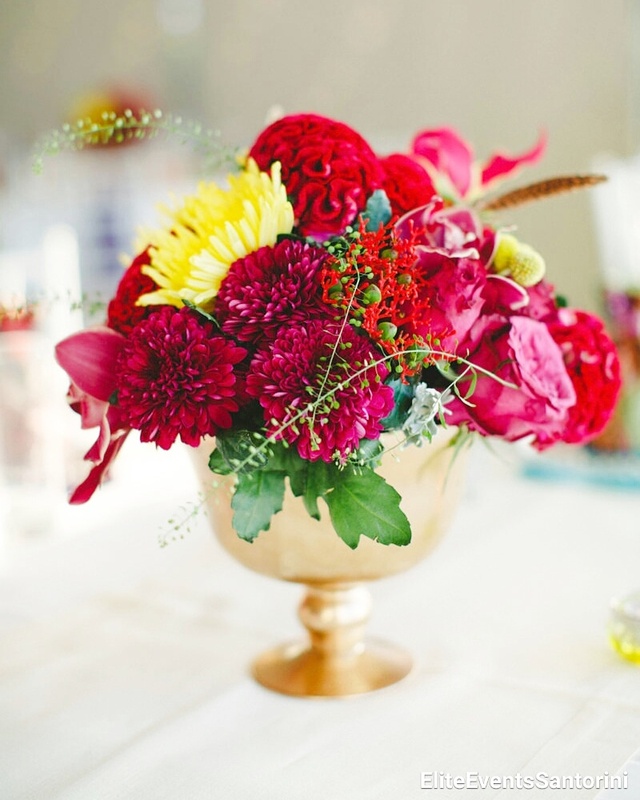 You can easily incorporate it in your wedding details, from its monochromatic version (if you are really bold! ), or alternatively to its softer version, by sprinkling just hints of it to your wedding details to add energy! The sure thing is that you ‘ll make a loud and clear color statement! Of course, you may wonder.. “How can I match this color with?” Ultra Violet goes perfect with white, pink, lilac, fuchsia, red, deep purple, emerald and green! Here, are some fresh ideas from some of our events that you may find inspiring! Feel free to get excited! Ο γαμος του ποδοσφαιριστη Νικου Καρελη με την Ισμηνη Χουστουλακη στο Ηρακλειο της Κρητης.